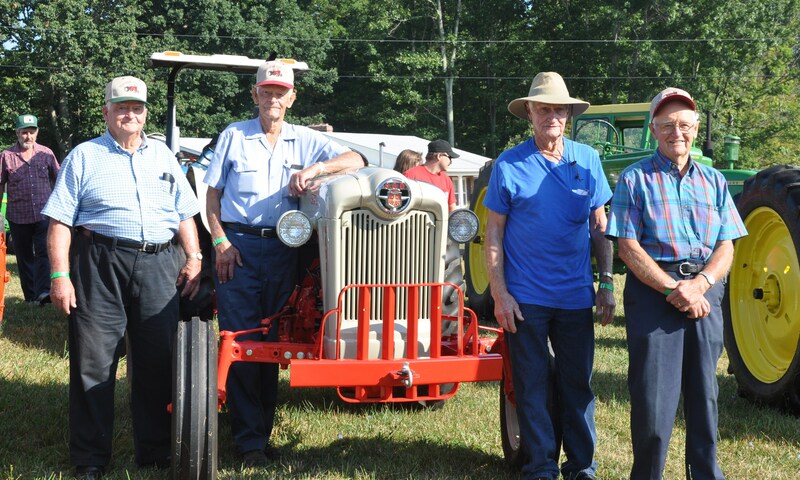 The Floyd County Tractor Fun Run began one Summer day in 2006 while Larry and Dale were returning from a tractor ride in a nearby county. The two were discussing the ride and commenting that there needs to be a tractor ride in Floyd Virginia. 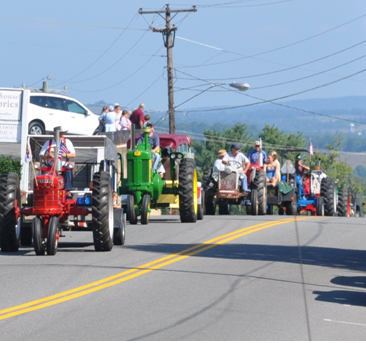 They wanted this ride to be more than just a bunch of antique tractors riding down the road. They wanted this event to be of benefit to the Community so they agreed that all monies would be donated to a local charity. 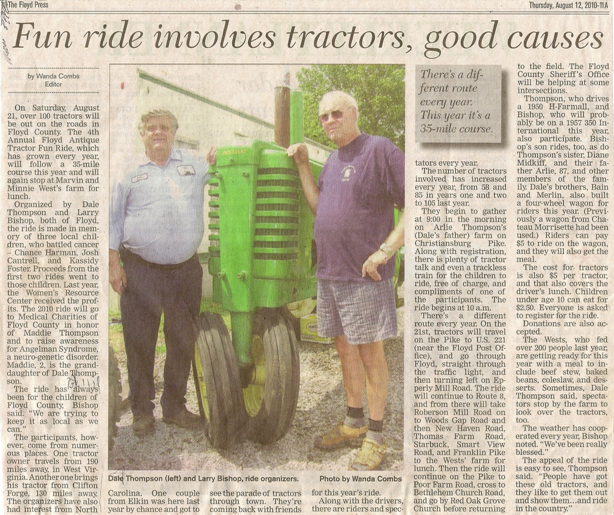 Since the Floyd County Tractor Fun Run began in August 2007, it has collected and donated over $38,000.00. The Charities that have benefited from these Rides are Medical Charities of Floyd County Inc., Women’s Resource Center of the NRV, and Floyd County Young Life, and Cancer Research. Copyright © 2012 Floyd County Tractor Fun Run.